I didn’t intend to start my day by crying at my desk (which is also my kitchen table—I’m working from home), but dammit, here we are. 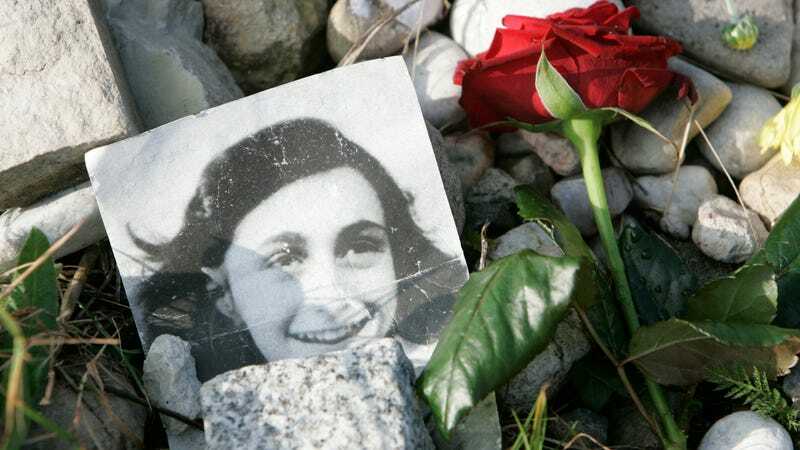 A brand new exhibit at a museum in Danville, Iowa contains copies of the only letters Anne Frank and her sister Margot wrote to their American pen pals, two school-age girls named Juanita and Betty Ann Wagner. According to the BCC, the historic snail mail exchange happened thanks to the Wagners’ school teacher, Birdie Matthews, who in 1940 set up the pen-pal program between her students and Anne Frank’s school in Amsterdam. Juanita and Anne were both 10 years old at the time. In their first (and in Anne’s case, only) letters to each other, the girls shared details about school, where they lived, and their family life. Margot, who was older than Anne, seemed to be more clued in to the geopolitical rumblings at the time and told the Wagner girls about how her family could not travel outside of the country due to visa restrictions, not even to visit family in Switzerland, reports the BBC. Brb, I just have something in my eye. The exhibit is open now in Danville and costs $2 for students, according to the museum’s website.